“China has changed more rapidly in the last 40 years than any other civilization in human history,” said Duncan Hewitt, a Newsweek journalist, in a talk last week. The adaptability of the Chinese people goes some way in explaining why China has overtaken the US to become the world-leader in Bitcoin transactions. According to a limited-circulation report by investment bank Goldman Sachs, 77 per cent of all Bitcoin trades are made using Chinese Yuan. As well as being open to change, younger generations of the Chinese population are also among the most numerate in the world. Figures from the Organisation for Economic Co-operation and Development show that Chinese students score about 120 points above the global average in maths tests. Meaning that there is no shortage of engineers who understand and can build upon the blockchain technology that underlies Bitcoin. 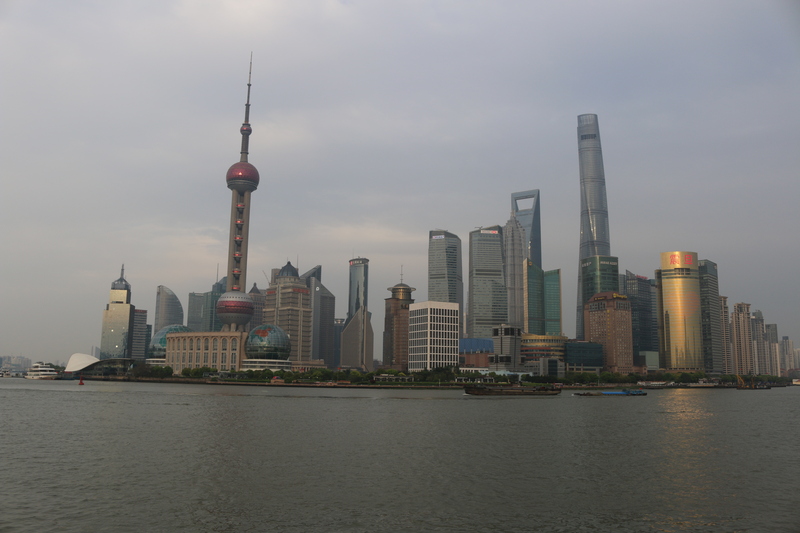 In a recent presentation, finance specialist Dr Gary Liu described China as a country of “risk-takers”. Judging on social attitudes in China, the country seems like an ideal market for Bitcoin. However, hostile regulation is proving a serious setback to the uptake of digital currencies in the country. On 3 December 2013 China’s central bank – the People’s Bank of China (PBOC) – issued a notice making it illegal for financial institutions to trade in Bitcoin or for payment institutions to accept Bitcoin in its jurisdiction. This directive could have killed Bitcoin in China. It effectively blocked Bitcoin from becoming a mainstream payment method. 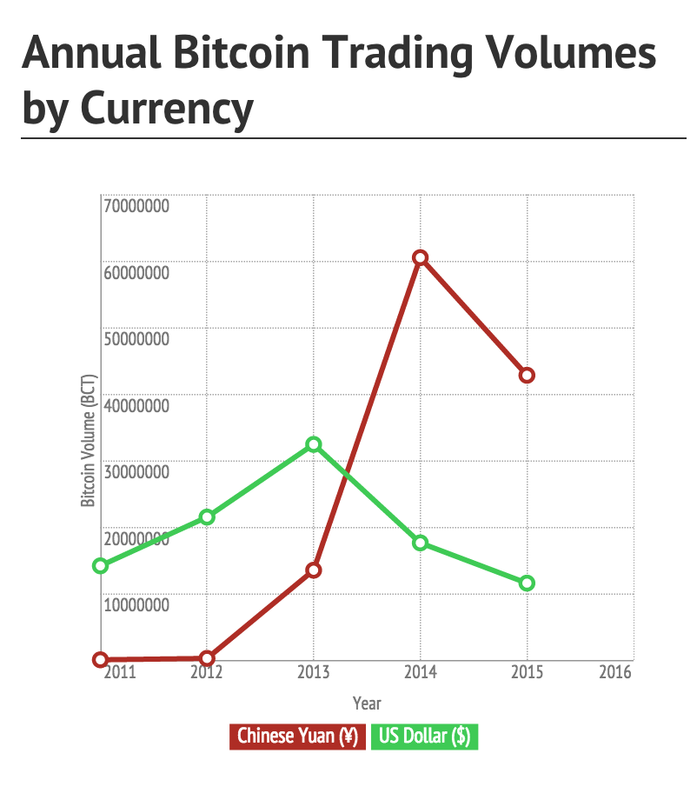 But despite this Bitcoin trading volumes increased rapidly in the year after the crackdown. The PBOC stopped short of outlawing Bitcoin completely. Chinese companies can still mine Bitcoin and run Bitcoin exchanges. And many continue to do so. Libertarians and political radicals around the world are drawn to Bitcoin. The notion of a decentralised currency has a particular allure in a country like China where the government plays such an active role in managing the nation’s economy. State attempts to marginalise Bitcoin only makes the currency more popular among the section of Chinese society that believes the Communist government interferes too much in financial markets. So naturally the PBOC are quick to stamp down on anything they see as having the potential to “undermine” the financial system. However, the government is also on a drive to encourage innovation in high-value sectors of the economy such as finance. This explains why Bitcoin exchanges are still free to operate in China despite restrictions in other areas. 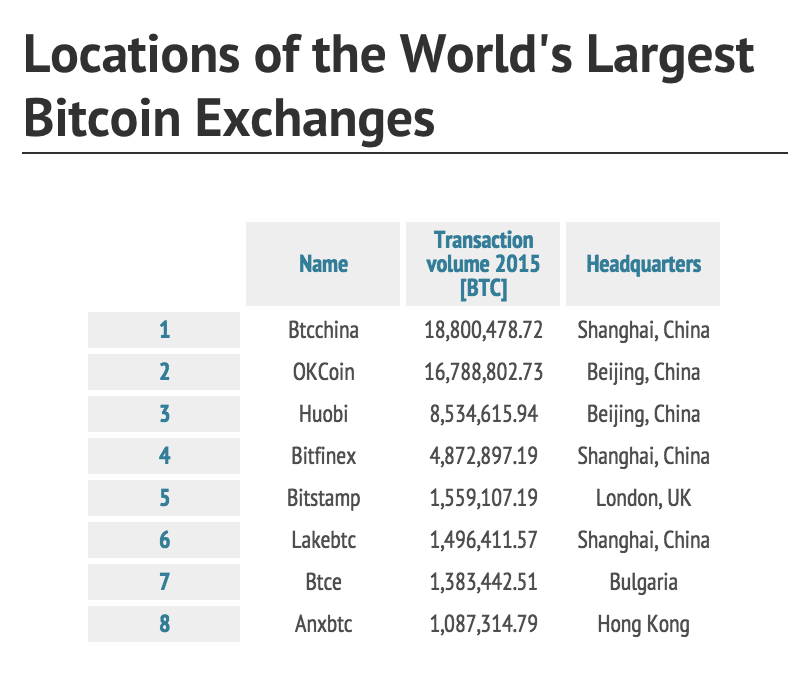 As shown in the table below, the majority of the world’s major Bitcoin exchanges are based in the country. Some cryptocurrency enthusiasts warn against reading too much into the high trading volumes that pass through Chinese exchanges. They put these down to the low fees Chinese exchanges charge, rather than a deep interest in Bitcoin among Chinese consumers. But on the other hand, the volume of trading that takes place in Yuan is significantly higher than in any other currency. 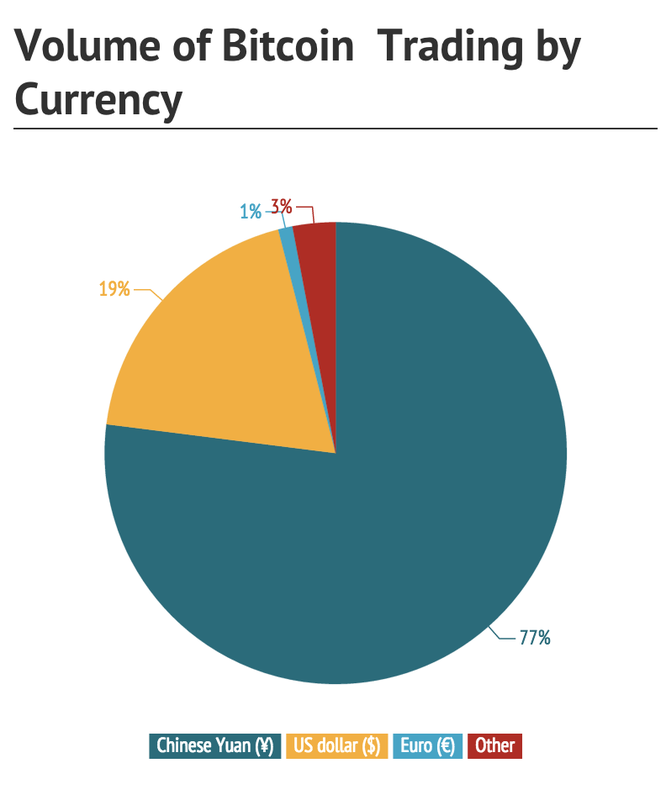 This suggests that Bitcoin is more highly prized in China than other countries. Against that backdrop it’s not surprising that Bitcoin trading by individual investors has taken off in the country. China dominates the supply-side of the Bitcoin equation. It’s home to enormous Bitcoin mines and exchanges that facilitate the spread of the currency. However, the country does little to drive demand for Bitcoin. Clearly Chinese shoppers aren’t able to pay for items in bricks and mortar shops using Bitcoin due to government regulation. As a result China is helping to lower the price of Bitcoin globally by producing more of the currency than it consumes. One area where Chinese citizens can legitimately pay using Bitcoin is through in-app purchases in international online games. A report from professional services network PwC estimates the online gaming industry in China will be worth around $4.9bn (£3.2bn) in 2015. A small but not insignificant part of that will be generated in Bitcoin. 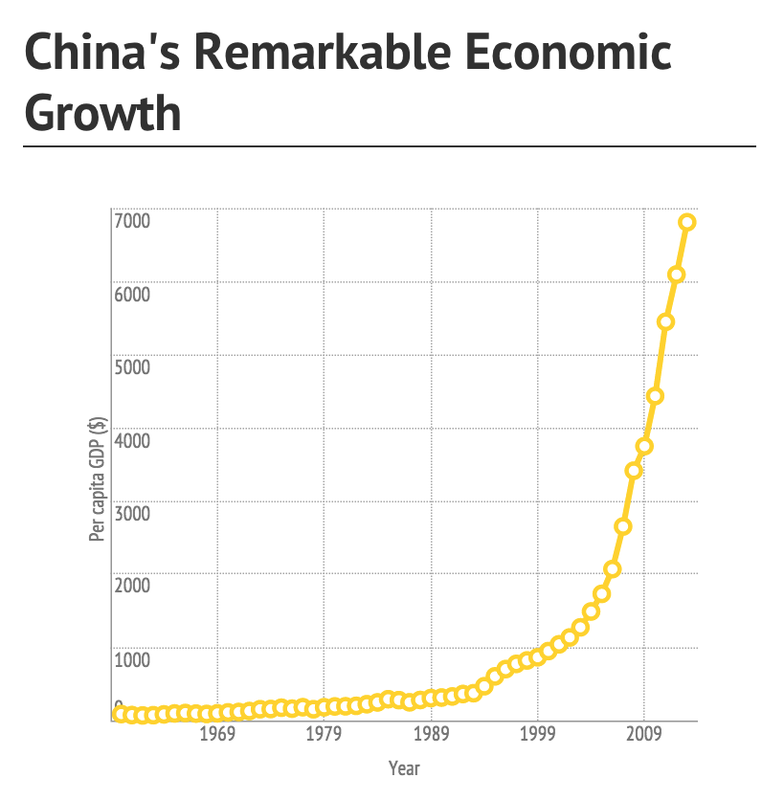 A few years back Bitcoin was tipped to be an enormous success in China. The digital currency was expected to help rich Chinese citizens circumvent capital controls, which stop them transferring large amounts of money out of the country. But this hasn’t materialised. The Chinese government has loosened capital controls while simultaneously toughening up the rules on Bitcoin. Nonetheless, China is still a contender for the title of ‘Bitcoin capital of the world’. It’s the centre of Bitcoin trading, it’s a major miner of the currency and it’s home to the largest number of Bitcoin wallets in the world. But what does that say about the state of Bitcoin worldwide if there is virtually no mainstream adoption of the currency in one of its leading territories? For Bitcoin evangelists, it’s a depressing thought.